Cheap wedding places come in a variety of styles. Choosing the right place for your wedding influences many other aspects of your ceremony, from theme to guest list, from color scheme to the date. The average wedding venue costs around $435, according to CostHelper. But if you're working within a budget, it's possible to find places that are cheaper than average and still support your dream wedding. 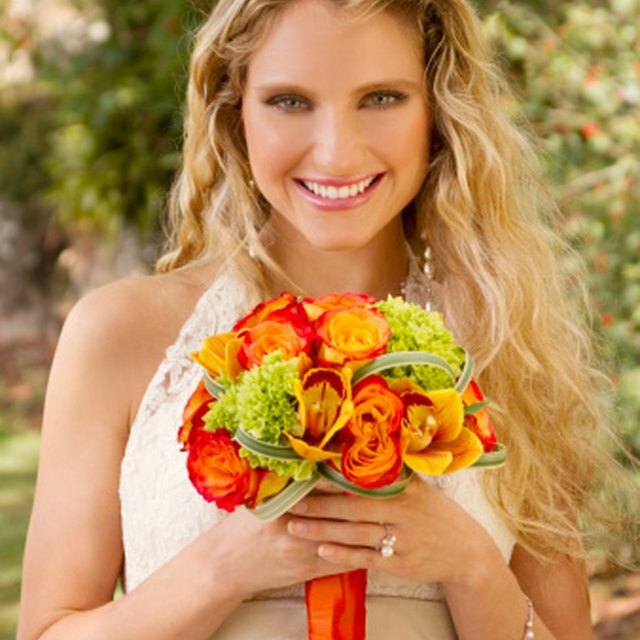 Nature provides an ideal backdrop for your inexpensive wedding, especially during the warmer months. Local and state parks usually have gazebos and other amenities, and spaces are often available for a low fee. Beach weddings are romantic and suitable for summer ceremonies, and forests provide a fairytale atmosphere. Botanical gardens may offer lowered rates to members. Outdoor venues may require extra considerations, such as seating or tents for inclement weather; but the outdoors also provides generous room for a large guest list. Art galleries, art centers, museums, libraries and theater companies tend to have attractive indoor spaces. Because these locations often host receptions or other events, they may already include amenities such as restrooms, coat rooms, seating and provisions for refreshments (such as small kitchens). As an added bonus, these spaces usually already feature elegant decor. The rental fee is often low, especially for smaller venues, but call ahead to reserve the space early and check on fees. While bars and restaurants may not sound like the most traditional wedding venues, both tend to be cheap ceremony venues and especially suitable for small and unconventional wedding ceremonies. Ask the manager of a favorite restaurant or bar if you can reserve the space for a low fee. College campuses often feature dining halls or chapels that may be available to alumni for small fees, especially during the school's summer, spring break or Christmas break. Some of the cheapest wedding locations are available by asking your community. If you have a friend, family member or neighbor with a large, attractive backyard or beautiful home, see if you can borrow the space for a wedding ceremony. Some people may let you use the space free or only charge you a low fee. If you're a member of a church or social club, or know somebody who is a member, these spaces are often available at lowered charges for members and parishioners.